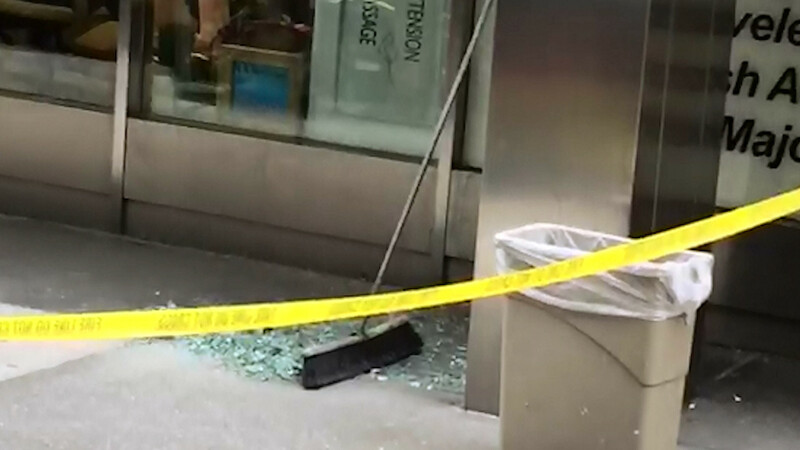 MIDTOWN, Manhattan (WABC) -- Glass fell from the DoubleTree Hotel in Midtown, injuring a pedestrian on the sidewalk. The victim was taken to NY-Presbyterian Weill Cornell MC with minor injuries. It happened at 2:50 p.m. Thursday. The Buildings Department is responding to the scene to inspect the building.